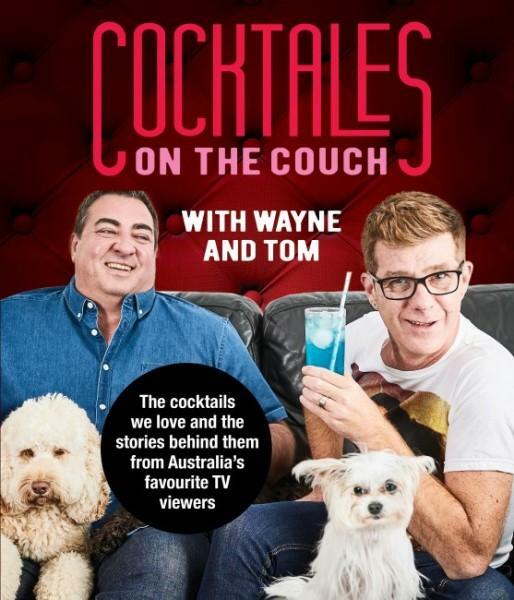 Cocktales on the Couch with Wayne & Tom is a unique spin on the traditional cocktail book. Giving Australian fans what they've been asking for, the cocktails they see them drink on TV, paired with an insight into their lives. The cocktails are split into seasons, catering for Summer, Autumn, Winter, Spring and the 'All Season' drinks, each season contain stories and anecdotes from us, including their first valentines date, key events, raising three children and the many stories that encompass their 17 year union, paired alongside the cocktails inspired by those memories. Gogglebox Australia airs on Channel 10 and Foxtel and Wayne and Tom have the biggest fan base on the show with their quirky personalities and fun style.